My interest in real estate piqued early; as the daughter of a naval aviator, I resided in over a dozen homes during my childhood. My nomadic lifestyle as a military dependent was very exciting, but left me with a strong desire to plant roots. In selecting a place to call home, I desired the vibrancy of a college town but wanted a city that was conducive to raising a family. Hence, after graduating from Penn State University, I chose Gainesville to be my adopted hometown and have lived here for the past 21 years. In Gainesville, I earned a graduate degree in counseling and have owned and operated a private counseling practice for the last 14 years. I have also been Nationwide’s on-site employee assistance counselor for the last 7 years. 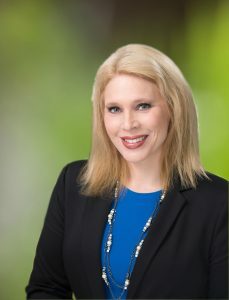 My real estate license offers me the opportunity to combine my passion for helping people with my skills as an expert listener and trained negotiator (Florida Supreme Court-Certified Mediator). Meeting the individualized needs of buyers & sellers is my goal but my mission is to be your trusted counselor throughout the buying and/or selling process. • WSJ Ranked Top 250 Teams in the USA 2017 • Large Business of the Year 2017 • Best of the Best Real Estate Company 2017 To contact Heather, you can call her at 352-258-0303 or email her at Heather@pepinerealty.com.